Just want to take a second and remind everybody about BatteryMaintenance. If you have Lead Acid batteries in your boat make sure you check your electrolyte (acid) levels. Even if your Batteries say Maintenance Free, unless they’re a AGM, or Optima style, more then likely theres fill screws under the sticker that says Maintenance Free. 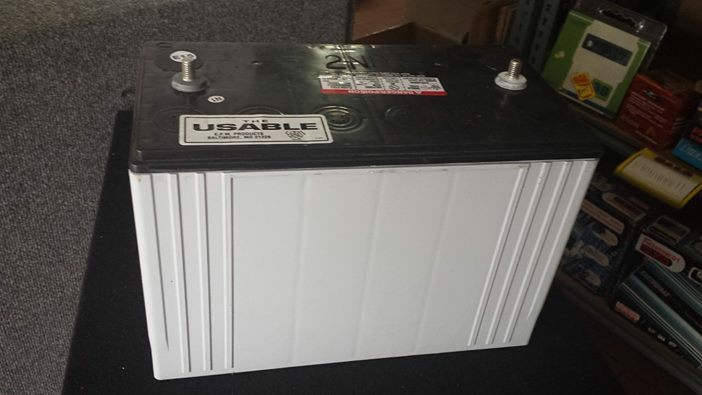 I have used Dekagroup 31 Master Marine lead acid batteries for going on four yrs now and at some point during every yr I top them off. I just used about a gallon of electrolytes (acid) in my 36V setup. You can use water if you have to. However for Longevity stop by your car parts store and pick up what you need. Keep in mind it is acid!!! so proper PPE is in order.